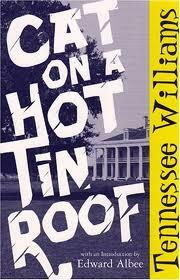 Cat on a Hot Tin Roof research papers explore the Tennessee Williams play in light of attribution theory. Tennessee Williams is one of the greatest play writes in American history. Research papers on Cat on a Hot Tin Roof can examine his works from many different angles due to the dynamic nature of his writing. For example, Paper Masters once did an explication of the play through the psychological construct of attribution theory. This worked out well for the student and she showed her professor a new and innovative way to dissect Williams' work. The entire First Act of Cat on a Hot Tin Roof is an introduction to the complicated relationship of Maggie and Brick. Throughout the Act, the dynamics of their partnership are revealed. Through their dialogue, as well as their actions and other various subtleties, the audience is let in on many years of history between the two and their families. But before we can understand the relationship between the two, we must first come to understand where they are coming from as individuals, a process that is helped along by William’s insightful and abundant stage directions. Brick, is the favorite son of wealthy Southern landowner, Big Daddy Pollitt, and a former football star whose career was cut short by injury. He married Maggie, his boyhood sweetheart, when she gave him an ultimatum to marry her or lose her, a move that he continues to resent. Brick is the archetypal hometown hero, the guy that everybody loves, and this sets up the plot. Blessed with good looks, athletic talent, and a magnetic personality, the world was his oyster in his youth. Once his playing days ended, he continued to win the public’s adoration as a sports announcer. In short, he is the type of guy whom fortune has smiled upon, who never seems to have to work too hard for any of his success, and deservedly so. However, somewhere along the line Brick lost his will and his aspirations for a happy and successful existence, and fell into a life of alcoholism. Paper Masters writes custom research papers on Cat on a Hot Tin Roof and explore the Tennessee Williams play in light of attribution theory.